Say what you want about the politics of Starbucks CEO Howard Schultz. But there is no denying that he's one of the best business leaders today. 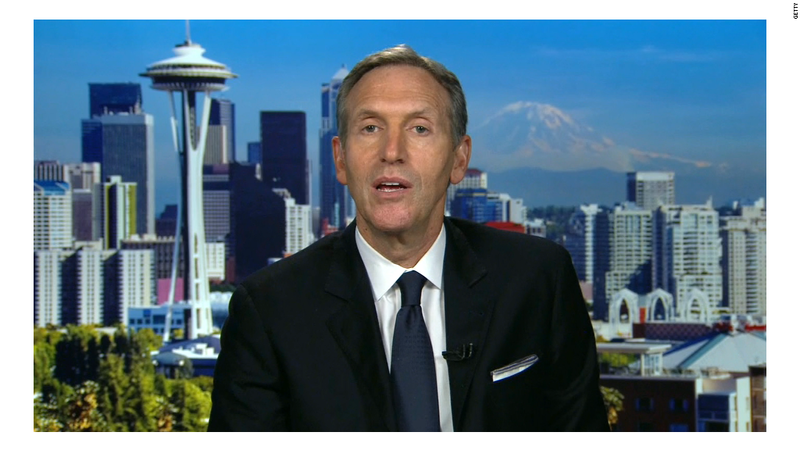 I wrote about how Schultz might be the top CEO of all-time in September 2013. Nothing has changed in the past year-and-a-half to make me change my mind. Starbucks (SBUX) just reported sales and profits for its fiscal second-quarter that were up nearly 20% from a year ago and ahead of Wall Street's forecasts. The stock perked up more than 4% in early trading Friday and is now at a record high. So much for the big social media backlash to the company's #RaceTogether initiative hurting sales. It wasn't that long ago that some Starbucks skeptics felt the company's best days were behind it. It had too many stores. It can't keep growing. But Starbucks has proven the naysayers wrong. New products. It may seem a bit odd to call Starbucks an innovative company. It's not Apple (AAPL) or some biotech developing treatments for cancer. It's simply selling highly-caffeinated beverages at a premium price. Yet Starbucks keeps finding a way to convince customers to try something new. Whether it's the Pumpkin Spice Latte, K-Cups with partner Keurig (GMCR) or the new Flat White beverage, Starbucks always seem to find a way to come up with a novel twist on coffee. Starbucks has expanded beyond java as well. Tea sales were up 15% from a year ago. Starbucks bought Teavana in 2013. The company has been able to get more customers to buy a snack with their coffee or tea too. Food sales were up 16% in the U.S. during the quarter, led by a 35% jump in breakfast sandwiches. Schultz hinted that there could be more new food offerings in the future. During a conference call with analysts Thursday, he said that the company is looking to do even more to attract customers in the evenings. He said the days when Starbucks did the majority of its business in the morning and closed its stores by 7 p.m. or 8 p.m. are long gone. There's an app for that. Starbucks is truly innovative when it comes to mobile. The company now has more than 16 million users of its app. Starbucks unveiled a Mobile Order & Pay system in 150 stores in Portland, Ore. last December. It's now in 600 Starbucks stores in the Pacific Northwest, and the company hopes to roll it out nationwide over the next year. Executives say that the rollout of mobile payments is helping to increase customer loyalty. 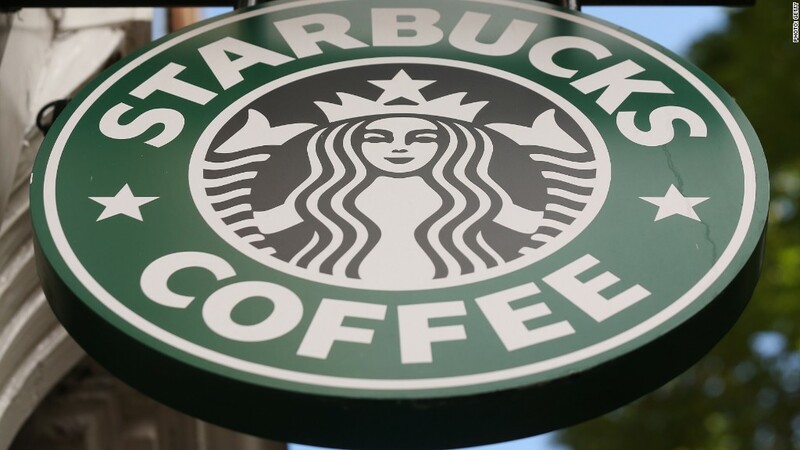 The company now has more than 10 million members in its My Starbucks Rewards program. And it seems safe to say that Starbucks is going to try and experiment even more with the use of technology in its stores. After all, Starbucks recently hired Kevin Johnson, who used to be CEO of network equipment company Juniper (JNPR) and was also a former Microsoft (MSFT) exec and systems engineer at IBM (IBM), to be its new chief operating officer. That could put him in line to one day take over the CEO job from Schultz. How do you say Venti iced caramel Frappuccino in Mandarin? Starbucks is absolutely crushing it in Asia. The company's China-Asia Pacific unit reported same-store sales growth of 12% from a year ago in the second quarter. Operating profits were up nearly 30%. Johnson said during the conference call with analysts that Starbucks is about to open its 1,600th store in China. It has more than 5,000 overall in the Asia Pacific region. It's poised for more growth in Japan as well. The company acquired full control of Starbucks Japan last year from its joint venture partner. Starbucks is now generating 13% of its total sales from Asia -- more than double the revenue it's getting in Europe. And several executives referred to China and Japan as the most "Important" market for Starbucks going forward during the conference call. Stock frothier than a macchiato. 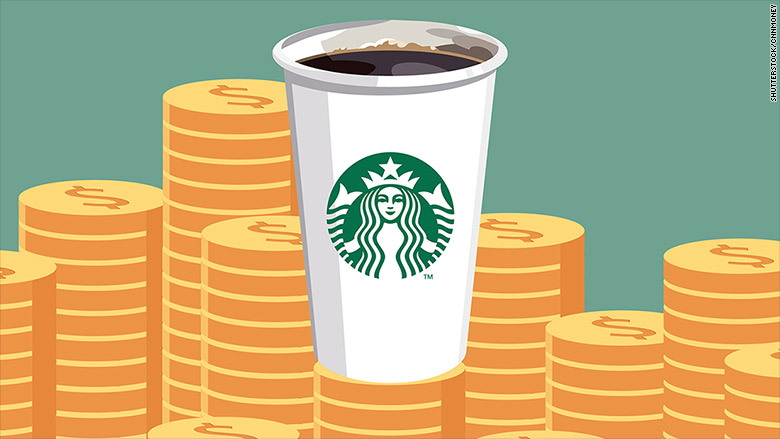 The one negative for Starbucks is that its stock -- much like many of its beverages -- is now insanely expensive. Shares trade at about 33 times earnings forecasts for this fiscal year. That's a lot pricier than the overall market. But it's not that much more than the valuation for rival Dunkin' Brands (DNKN) -- which also just reported strong growth in profits and sales. But Starbucks is probably worth it. Schultz may continue to alienate some people with comments about politics and race. But it doesn't matter for the bottom line. Coffee junkies want their caffeine fix. And so does Wall Street.